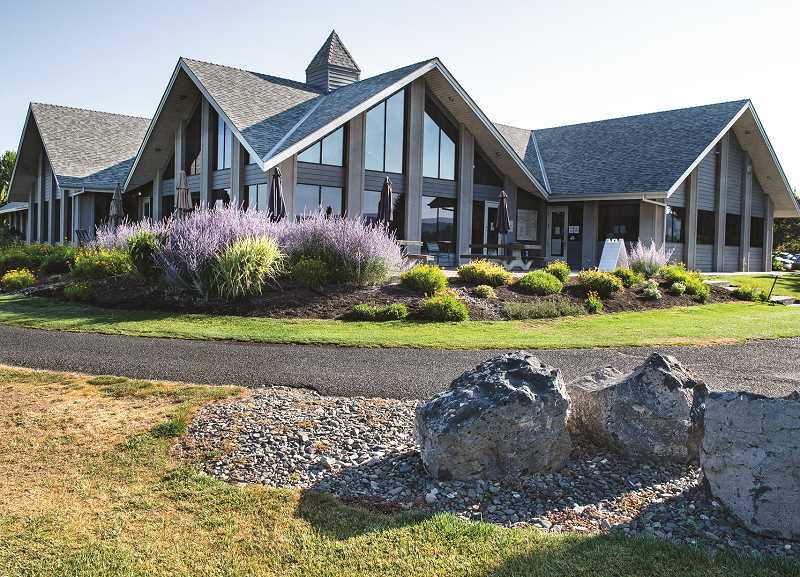 Meadow Lakes Golf Course has reached its silver anniversary, and facility leaders are celebrating the occasion by opening up the course to a tournament. The 25th Anniversary Celebration and Golf Tournament, a four-person scramble, will begin with a shotgun start at 9 a.m. on Saturday, Aug. 11, just three days shy of when the course was dedicated in 1993. "We are trying to make it so that anybody can play," Zach Lampert, director of operations said about the scramble format. "We are trying to give back. (Participants) get a T-shirt and tee prizes, they get golf balls, and they get a nice lunch afterward, plus the golf and the cart." The competition will also feature several on-course contests, including men's and women's long drive, accuracy drives, KPs and long putt. Lampert is no stranger to anniversary golf tournaments at Meadow Lakes. He competed in the 10-year tourney when he was a junior in high school. Ten years later, he was one year into his tenure as the director of operations at Meadow Lakes. "I have been here for quite a few of the (25 years)," he said. "(The anniversary) is kind of special to me." While the tournament will be the centerpiece of the 25-year celebration, the event will feature other attractions and activities. Borrowing from the 20th anniversary event, Lampert said golf course memorabilia will be laid out in the banquet room for people to observe. "People had a good time looking at all of that stuff," he recalls. And like they did five years ago, golf course leaders will invite a who's who of influential people in Meadow Lakes' history. The list includes Wayne VanMatre, who was the golf course's first superintendent and later its director of golf; Steve Uffelman, Prineville mayor when the golf course opened; and Henry Hartley, who was city manager on opening day. "We have invited Lee Roberts, who was the pro before me, and we have invited Bill Robinson, who was the course designer," Lampert said. "It is fun to have those guys come back and see how the course has changed." The celebration will also extend beyond the Aug. 11 event. Lampert said they will run a special during the entire month of August — $25 greens fees for the 25th anniversary. "Hopefully, that will draw some people in from out of town," he said. In addition, city leaders will try to reach out to the public and spur some community participation in celebrating the golf course's silver anniversary. "We are going to try to have some social media giveaways and do some history things," he said. Deadline to enter the tournament is Monday, Aug. 6 at 5 p.m. Lampert expects to see a lot of local regulars play in the tournament. "They like supporting stuff like this that highlights the golf course," he said. "It is just a fun event to celebrate the course and celebrate the anniversary."